Interviews are stressful, unpredictable, and nerve-racking. You could be thrown into a panel interview, which is you facing 3 or 4 managers while they fire questions at you. You may need to "white-board", which is typical during technical interviews where they need to see an equation. You may even sit one on one with a guy wearing jeans, smoking a cigarette and drinking a coffee. You seriously just never know – although recruiters and sales professionals try their hardest to get all the information beforehand to prepare you as much as possible, it’s still unpredictable! A few things I have learned is that no matter what type of interview you are heading into, these are the top 5 things NOT to do during that interview. DON’T Smoke, Don’t Smoke, oh yeah, and DON’T SMOKE! I can’t think of anyone who finds cigarette smoke attractive or appealing. Think of how potent lingering cigarette smoke is on your suit, especially in a confined interview space. It’s off putting and most importantly, it’s distracting to the interviewer and hard to concentrate on your brilliant answers. Plus, in close quarters you want the freshest breath possible. Instead of that cigarette, grab a mint, swig some mouthwash or brush thoroughly before leaving the house. DON’T Say Anything Negative About Past Employers or Coworkers. This one is huge! Talking s*** about a past employer or coworker shoots a thousand mental little red flags to the interviewer. They’ll immediately start judging you and question how loyal you will be as an employee. Always be polite, respectful, and cautious about what you say (even if your boss was demeaning and arrogant). 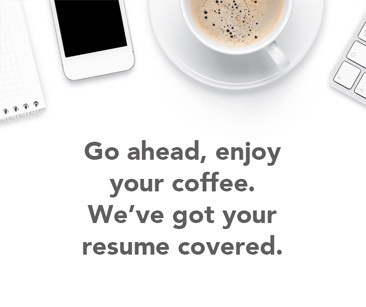 They know you’re looking for a new job for a reason. Let your class and respect speak louder. DON’T Forget To Do Your Research. This is one of the first things we forget to do and it’s the easiest. Companies will always ask you what you know about the company, why you want to join the company, who’s their biggest competition, etc. Take 20 minutes and research. If you are passionate about the position, you will need to know how the company operates. While researching the company, make a list of important questions (not including salary) to ask. They will ALWAYS ask you if you have any questions. Don’t be Late! This one may be self-explanatory, but you would be surprised at how many people forget this important tip. By showing up late to your interview, you are showing your employer that you will always be late. Arrive 10 minutes early.